Most of women would love more time to themselves to indulge in pampering their skin and engaging in healthy activities to nurture their overall beauty and wellness. 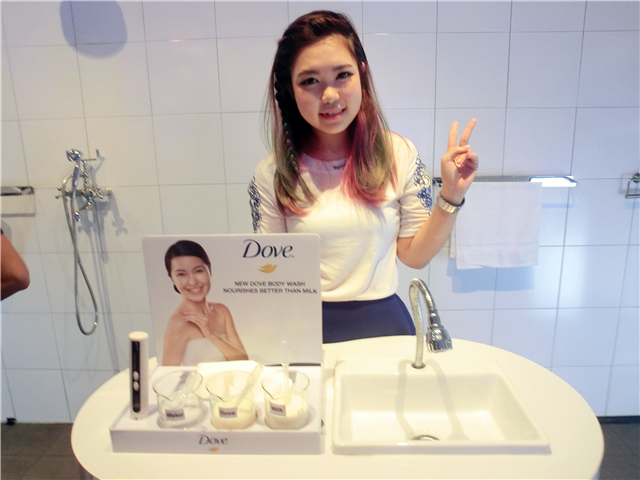 However, in a survey commissioned by Dove Body Wash* amongst 108 women aged between 18-35 years old, time and money are the biggest hurdles in pampering oneself on a regular basis. Everyone loves pampering. It can helps to release stress, refresh mind and of course!! make oneself feeling good all day long. 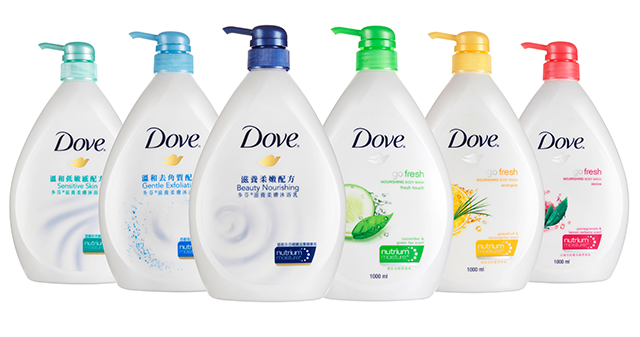 Therefore, Dove has finally launches a new series of body wash, the Dove Body Wash with NutriumMoisture where helps women pampering themselves at home easily. These series of body wash which is proven to be better than milk. The unique blend of moisturising and nourishing ingredients replenishes nutrients back into the skin while you shower. Not enough peeps!! There's a news would like to share with you guys too. Dove wants to encourage women to take a step further and pledge through the Dove School of Skindulgence Facebook Campaign to love themselves, eat right and stay active through simple no-hassle, no fuss, inexpensive activities that they can do at home for themselves. Maybe this might not easy for every women but Dove hope that after 21 days of pledging through with the Dove School of Skindulgence Campaign, women will find themselves renewed, refreshed and with lovely glowing, soft, supple and nourished skin to make them feel good about themselves. Last but not least, of course with attractive and exciting prizes to be won weekly and grand prizes. 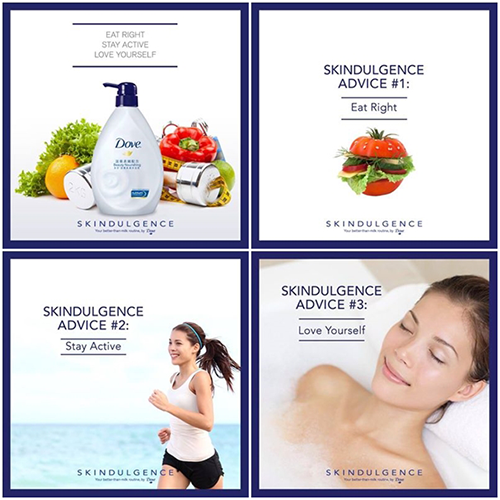 Dove School of Skindulgence campaign has divided into three main pillars which are Eat Right, Stay Active and Love Yourself. 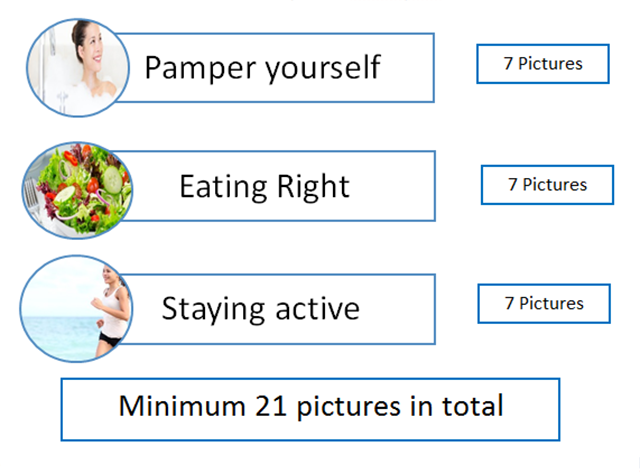 Contestants will over 21 days, challange themselves to achieve the three main pillars by upload at least one photography daily into Instagram with hash-tags (#skindulgence #betterthanmlik #eatright #stayactive) with a minimum total of 21 photographs (7 photographs per pillar) in the 21 days of how they take care of themselves at home. 1. 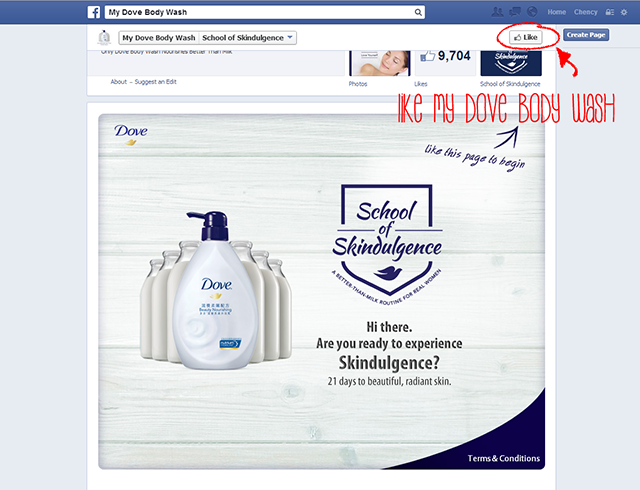 Log on to fb.com/mydovebodywash to 'LIKE' My Dove Body Wash Facebook page. 1. 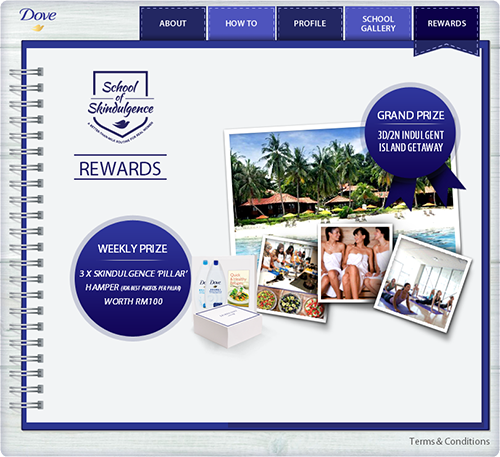 Click this link fb.com/MyDoveBodyWash/app_255396191303410 for app register then click 'LIKE'. 2. Click 'Profile' and fill in the detail below. 3. Then click 'Log In' to Instagram and then will auto connect with My Dove Body Wash app. 4. Choose your prefer start date. 5. 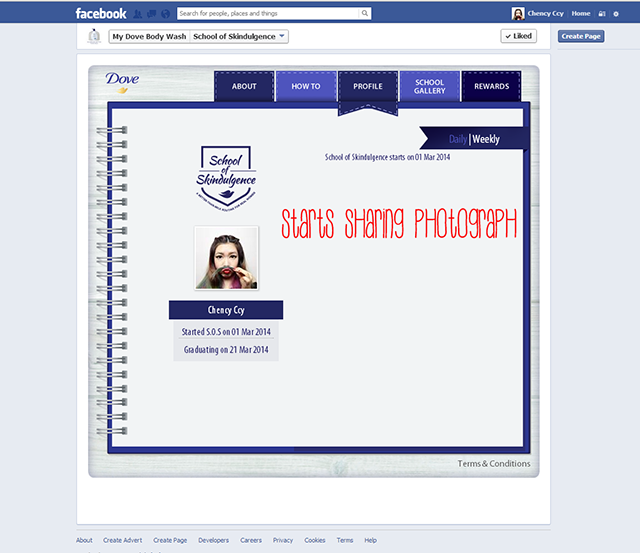 You can start upload your daily photograph. - challenge starts on 1st March 2014 and ends on 30th April 2014. 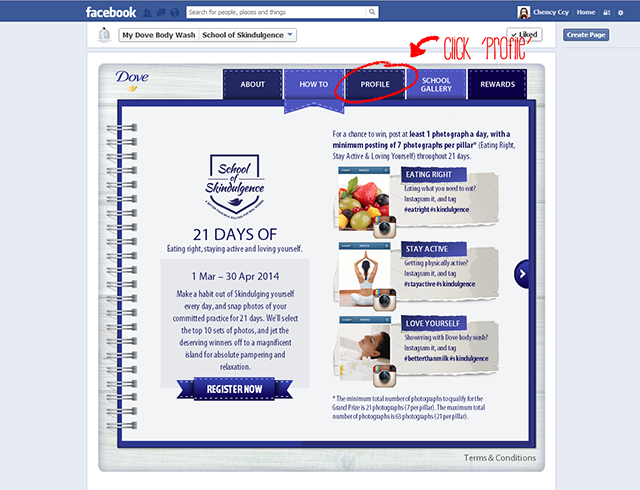 The last day to pledge is 10 April 2014.
and they will each win RM100 worth of Dove Body Wash hamper. 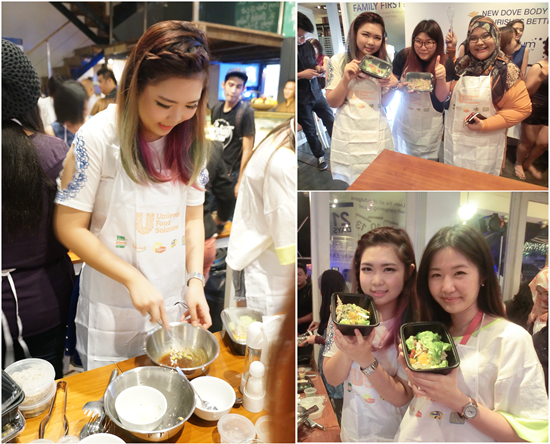 • The 10 grand prize winners will have the memorable experience of a 3 days 2 nights island getaway to Krabi. What does the means of loving yourself? Well~ Of course!! Pampering is the best way to treat yourself good?! During the workshop I have attended at Dove Skindulgence Campaign launch, I have great opportunity to know more about Dove Body Wash with NutriumMoisture. 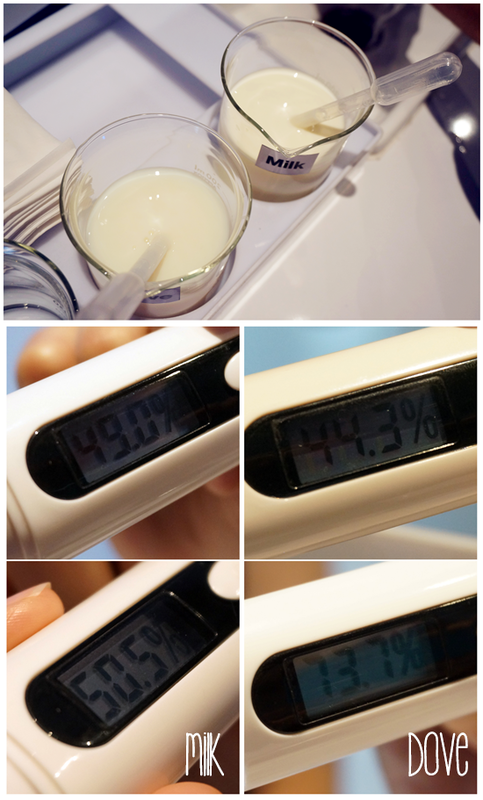 Dove girls experimenting the moisture and nourishing level between milk and Dove Body Wash with NutriumMoisture. Dove claims that the Dove Body Wash with NutriumMoisture is more moisturising and deeply nourishing better than milk. Eating right is about a balanced diet. A balanced diet means getting the right types and amounts of foods and drinks to supply nutrition and energy for maintaining body cells, tissues, and organs, and for supporting normal growth and development. In addition to eating balanced diet foods, physical activity can help you reach and maintain a healthy weight. Regular physical activity helps the body function better – it keeps heart disease, diabetes, and a host of other diseases at bay, and is a key component for losing weight. *some pictures are courtesy to Angeline and Chocky. *last but not least, special thanks to The Butterfly Project for extending invitation. I think I write too much in here. Gonna end this blogpost now. 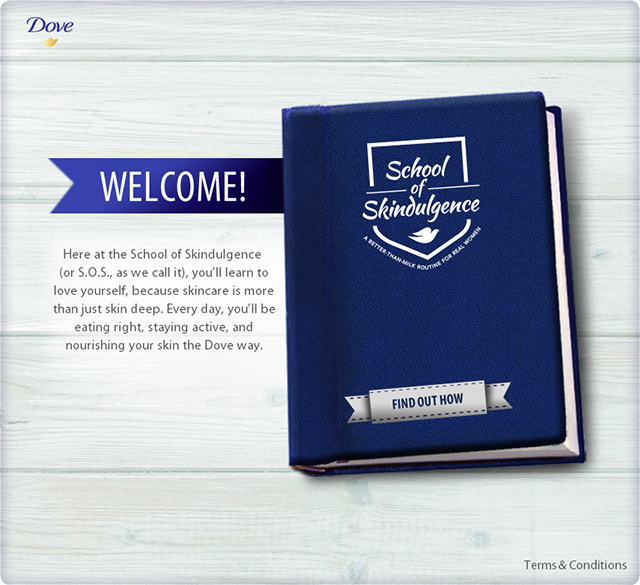 But before that, let's join the Dove School of Skindulgence 21 Days Challenge Mechanism. I have joined, how about you my dear? Let's win prizes together and stay beautiful everyday.